At MouthPeace Dental we are serious about maintaining your natural teeth and we do all that we can to “save” your teeth if it’s in your best interest. Occasionally, there are times when removing teeth is necessary. If you require an extraction, we preform simple and complex tooth extraction surgeries. In circumstances where specialized surgical skills are necessary, we partner with the most competent oral surgeons to take care of you. Our “wisdom teeth” which are our third molars typically don’t erupt until our late teenage years or early twenties. At MouthPeace Dental we closely monitor the development of these teeth in our young patients. Sometimes existing teeth block a tooth from erupting. When this happens, only part of the tooth, if any, erupts above the gum line. The rest of the tooth is enclosed in gums and bone. Theses teeth can crowd important nerves, muscles, bone tissue, and roots of other teeth. This condition, known as impaction, is most common with wisdom teeth. In rare cases, it can occur with other teeth. What kind of problems can an impacted tooth cause? Surgical extraction is usually needed for wisdom teeth, particularly if they are impacted. We use local anesthetic and ensure the area is completely numb before beginning the procedure, to ensure your comfort. Wisdom teeth are usually not necessary for chewing or speaking, so their removal does not diminish functionality. Instead, the procedure benefits oral health and relieves pain. If you have concerns about wisdom teeth, call us at 404-549-5570 (West Midtown location) or 404- 793-2570 (South West Atlanta) or request an appointment online. One of the most misunderstood, and therefore most feared, procedures in dentistry is the root canal. Our patients are often surprised to discover how comfortable, straightforward, and beneficial the treatment is. The procedure is very similar to a simple filling, except that it involves more of the tooth structure. The first step is local anesthetic, to completely numb the tooth. In most cases, the final step is fitting the tooth with a porcelain crown. This protects it as well as restores its appearance and functionality. The procedure is gentle and comfortable. Once it is complete, the infection will be gone and so will the nerve, putting an end to toothaches. If you have questions or concerns about root canals please call us at 404-549-5570 (West Midtown location) or 404- 793-2570 (South West Atlanta). Rather than living with the discomfort and hassles of dentures, many people are opting for dentures that are stabilized by dental implants. 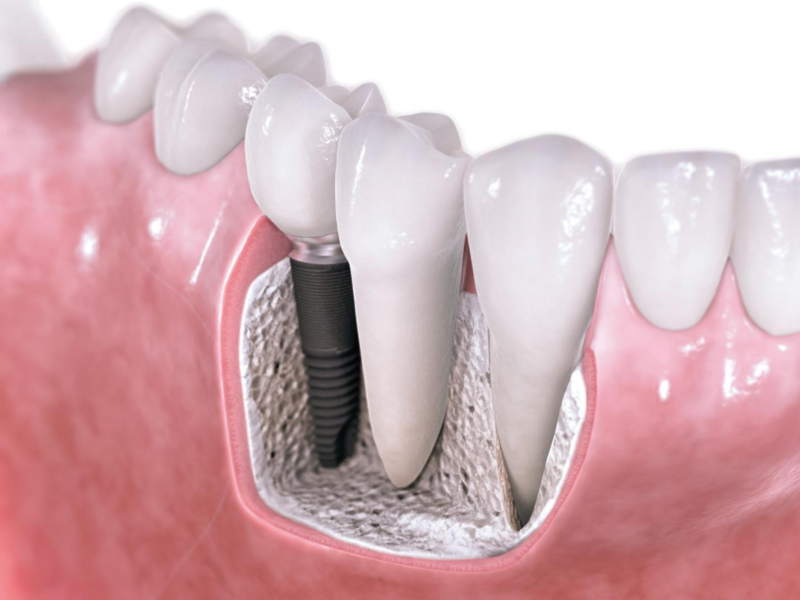 You do not need a dental implant for each and every one of your missing teeth. 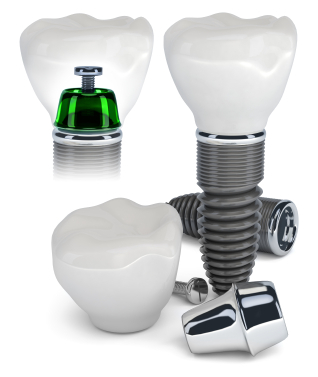 All you need are precisely placed implants to restore your full smile. If you are interested in implant treatment, please give us a call a 404-549-5570 to schedule a Free Implant Consultation with Dr. Wells. A dental implant is a small medical grade titanium screw that sits inside your jawbone and replaces the root-portion of a missing tooth. Minor surgery is required to insert dental implants. Once the implant is in place, a crown is attached to give you a natural looking tooth. The bone of the jaw fuses to implants making them very stable. In addition to ensuring that implants are fixed in place when fused, the presence of implants in bone helps to prevent future bone loss. The presence of facial bone helps to support facial structures for a more youthful appearance. When you are missing some or all of your teeth, we can place implants in precise locations and attach multiple teeth/crowns to them. All you need is four precisely placed implants on the top of your mouth, and four on the bottom, to restore your full smile. Dr. Wells is a prosthodontist. After graduating from dental school, she completed three additional years of restorative dentistry training. Prosthodontic specialty training requires dentists who undergo this rigorous additional training to treat the most complex of restorative cases in dentistry. This three year post-doctoral training gives prosthodontists the necessary expertise to restore functional bites and engineer smile design. 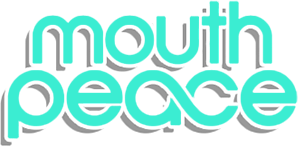 At MouthPeace Dental we can provide you with reliable, permanent implant restorations. Implants are like a second chance at having natural teeth. They are the most durable and functional tooth replacement option available today. 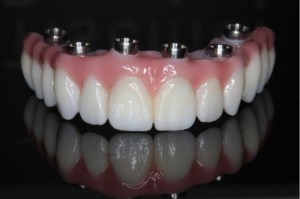 An implant restoration is comprised of a medical grade titanium post that serves as the root of your replacement tooth, a porcelain crown, and an abutment /connector that attaches the crown to the implant. With proper oral care, a dental implant can replace a natural tooth for a lifetime. There are numerous reasons why dental implants are superior to all other forms of tooth replacement. Implants cause fewer lifestyle interruptions. Once the implant is placed, it serves all the functions of a natural tooth – no eating restrictions or speaking impediments. No other tooth replacement option can claim to maintain oral health in the ways implants can. Implants are the only tooth replacement option that helps to prevent bone loss in the jawline. And because the implant is made of titanium, it has the unique ability to fuse to living bone and function as part of it. So eventually, the dental implant becomes part of the jawbone and serves as a strong, long-lasting foundation for your new teeth. Besides ensuring that your implants are permanently fixed in place, this bone fusion has another important benefit: it prevents future bone loss in the jaw. This helps to maintain a more youthful facial structure—and better oral health. Implant surgery is one of the most effective types of surgery with a success rate of over 95%. With just four implants we can replace all of the teeth on the top or the bottom of your mouth. In other words, it is one full arch of teeth supported by four dental implants. Tooth loss is extremely common among adults, especially as we age. More than 35 million people in America are missing all of their upper and/or lower teeth. Rather than living with the discomfort and hassles of dentures, many people are opting for an “all-on-four” dental implant restoration. An all-on-four prosthesis can cause an immediate transformation, increasing quality of life substantially. Diagnostics: This includes a visual clinical examination, x-rays, dental impressions and CT scanning. Planning: The ideal size and type of implants, as well as their exact placement, is determined. Your new teeth are designed for optimal function and appearance. Surgery: Implants are placed in a gentle, precise surgical procedure. A natural looking interim denture is added during the same appointment. Healing: Over the next several months, the bone will fuse itself to the implants. Permanent denture: Once healing is complete, the interim denture is removed and your permanent, beautiful, custom-made new appliance is placed.